Purchasing this item will earn you 179 reward points (Treasure Coins $1.79) ! 6 payments from NZ$30.00 What's this? 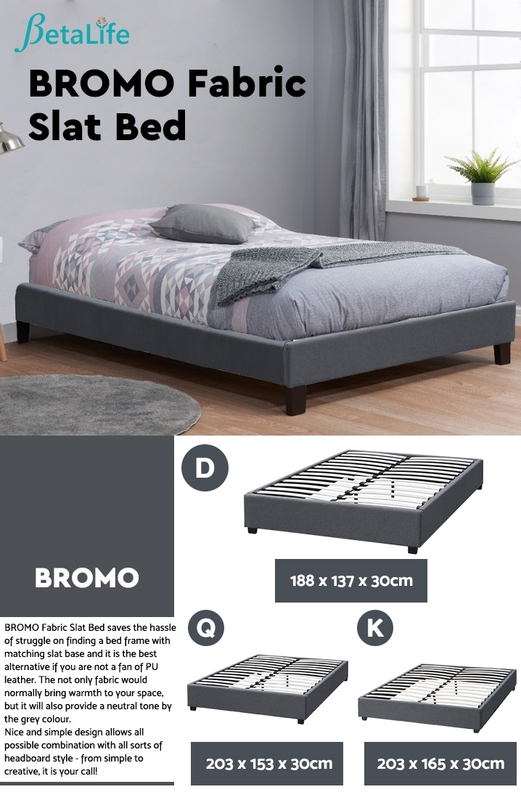 BROMO Fabric Slat Bed saves the hassle of struggle on finding a bed frame with matching slat base and it is a best alternative if you are not a fan of PU leather. Not only fabric would normally bring warmth to your space, it will also provide neutral tone by the grey colour. Nice and simple design allows all possible combination with all sorts of headboard style - from simple to creative, it is your call! 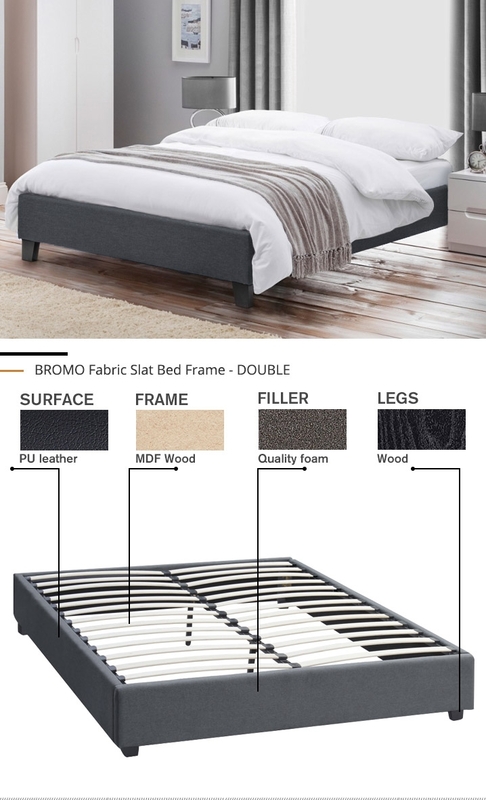 Flexible wooden slat base provides a great foundation for your bed where you spend a vast amount of time on. 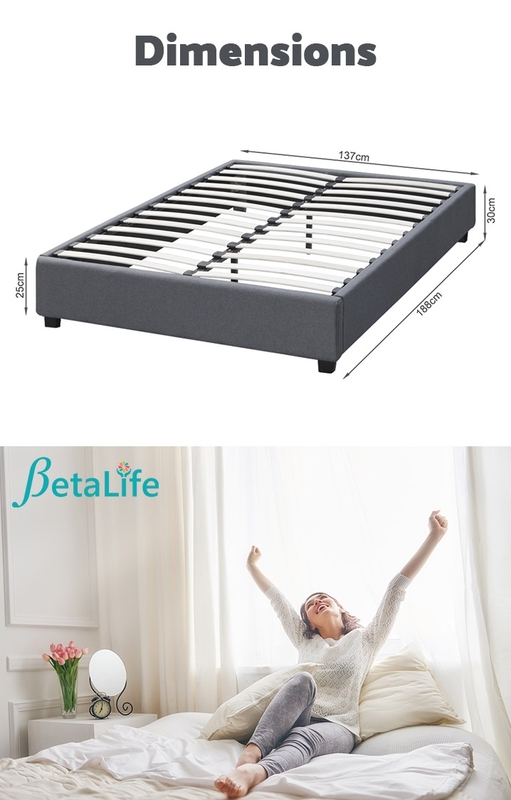 It also helps on extending the lifetime of your expensive mattress by acting as a support by absorbing all the weight and stress. 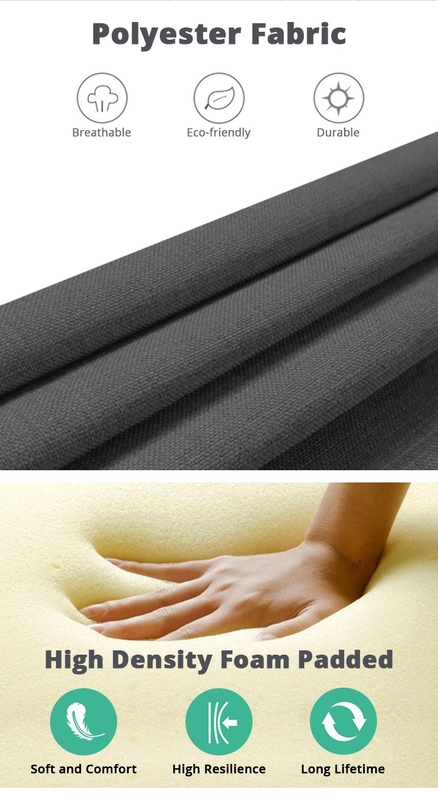 Fabric upholstered bed frame padded with quality foam gives your bed fuller look and extra comfort.